I’ve been feeling sorry for myself this week. I am very lucky. I work outside all of the time, away from often crowded heated work places which breed germs. I’m sometimes cold after a day’s work, often wet but, generally, supremely fit and healthy. My last day sick day off work was Boxing Day 1983. I can’t remember when I last had a cold, but I’ve got one now, and I don’t like it at all. I’ve been working our larger woodland area for the last few days. The squirrels have been at it again. This spring they chewed the bark off about fifty oak and nearly all the hornbeam we have on site. The oak aren’t too much of a problem. One thousand five hundred were planted fifteen years ago. The trees are now twenty five to thirty feet tall and many are far too close together. The oak, and the seven hundred and fifty ash, want thinning out if the trees are to remain healthy and have enough room to grow. I’ll choose which ash to remove, but the squirrels have chosen the oak. Removing some bark doesn’t kill the tree, but if it’s removed from the trunk’s full circumference, “ring barked”, nutrients can’t reach the part of the tree above the missing bark, so it dies. If the tree is in an open space, the lower section of the tree will survive as a healthy but visually unappealing bush. In our densely packed woodland though, the ring barked section becomes brittle, then usually snaps off in the autumn’s high winds. In subsequent years, the neighbouring trees form a canopy over the damaged tree depriving it of light. The overshadowed tree eventually dies. Many of the damaged trees still look relatively healthy but they will die and are currently taking up valuable space. The crowns have blown out of some but, because of the density of trees, they’ve been left suspended above the woodland footpaths waiting to drop on unsuspecting walkers beneath. So for much of this week I’ve been cutting down trees while trying to cope manfully with a streaming cold. The lethargy and listlessness is bad enough, even if it does give me an insight into how one of our younger members of staff apparently feels all of the time, but the constantly runny nose is driving me made, especially when I’m using my chainsaw. When I’m using the saw I have to wear protective clothing which includes safety gloves and a helmet with a perspex visor. If I’m felling a tree I can’t stop to blow my nose and if I can’t blow my constantly running nose when I’m bending down, the inevitable result is most of the contents of my head pouring out of my face on to my visor. It hasn’t been very pleasant. The experience reminded me of looking through a scuba mask when diving at a fluid and rippling landscape… only in this instance with far more trees. Life hasn’t been much better indoors. I’ve fallen out with Sally again. I don’t really understand why she’s so angry with me. I don’t like to waste money on hair cuts so for the last three or four years my boat has been a DIY barber shop. Once a month I sit on a stool in the only free space we have on the boat. Unfortunately it’s next to the stove so haircuts in the winter can be quite a warm affair. I sit on the stool while part time hair dresser Sally goes to town on my grey head. She does a very good job. Recently Sally has been working night shifts and she’s also been working quite a few extra shifts, also at night, to save up for her planned three or four month return to the Philippines in January. She comes back to the boat after a twelve hour shift just after I’ve left for my own nine hour shift at Calcutt Boats. When I get back from work in the evening, we say a quick hello, eat the evening meal together, then she’s off again. On most of my days off I run discovery days and on what few days off Sally has at the moment, I’m working. There’s very little time for my monthly hair cut. On Tuesday my regular monthly hair cut was overdue by nearly a month so, as Sally is so short of free time, I thought I would do it myself. It’s not easy. I started off with the No 6 attachment. I ran it over my unruly mop until there was a mountain of grey and white hair cascading over the dogs laying at my feet. I had a quick look in a mirror and decided that there was more work to do. I couldn’t see well enough to trim the edges around my ears or the back of my neck so I decided that the best solution was to shorten it a bit, and then a bit more, and then a bit more. Eventually I achieved the neatness I was after but only for one very simple reason. I had very little hair left. I had become so obsessed with neat edges that I didn’t really focus on which attachments I was using. The fact that I was on my second glass of a very pleasant Australian red, and that I was further distracted by Sean Lock on 8 Out of 10 Cats probably didn’t help. Now I have an all over No 2 and, according to Sally, I look either like a convict or an ardent National Front supporter. I spent Wednesday and Thursday felling and logging more damaged oak, ash growing too close to neigbours and a large shallow rooted larch which was about to fall across an often used woodland path, and then I breathed a sigh of relief, brought a copy of December’s Waterways World home with me from work, had dinner, spent an hour on my laptop and then took myself and my magazine to bed. I don’t usually read for very long. I’m too tired, and the cosy bed plus the sound of the wind and rain lulls me to sleep. The sound of the wind and the rain lulls me to sleep providing the wind isn’t blowing from the east. An east wind howls across the marina, skirts around the island behind me and then slams into the back of the boat. The wind doesn’t cause any problems. It’s the waves that the wind creates on its trip across the open water. They hit the boat with a rhythmic and rather loud SLAP, SLOP, SLAP, SLOP. It’s not the most relaxing sound in the world. I didn’t sleep very well on Thursday night. The stiff easterly was still blowing on Friday morning bringing plenty of heavy rain with it. The rain was still bouncing off the roof at 8am when Brent Smith was due to arrive. The furthest travelled discovery attendee was Davie McLachlan who was with me the previous weekend. Davies drove down from Inverness to see me. OK, he was also visiting relatives on Merseyside but part of the reason for the trip was to come out on James for the day. Five hundred miles was a fair way to travel for a day out on a boat but Brent beat the record by a wide margin. He flew in from Australia. OK. Again, he didn’t come just to see me. He was over here for five weeks for a variety of reasons, including visiting brokers looking at boats for sale. Friday was his last day in England before the arduous flight back to warmer weather. At quarter past eight when he still hadn’t arrived I put on my waterproofs and went looking for him. I found him driving through a rain soaked car park on site. I brought him back to my boat, made a coffee and then spent an hour discussing the pros and cons of various aspects of my boat, all the time looking out of the window hoping the rain would ease. It didn’t and Brent, because he was travelling light, didn’t have any waterproofs with him. As luck would have it, I had some spares on board so we set off with heavy rain being blown into our faces by a chill wind. We were lucky. By 11am the rain stopped, the wind died, and the sun came out. We enjoyed a very pleasant cruise to Braunston and a bit of a challenging trip back to Calcutt with a low sun dazzling us from a cloudless sky. 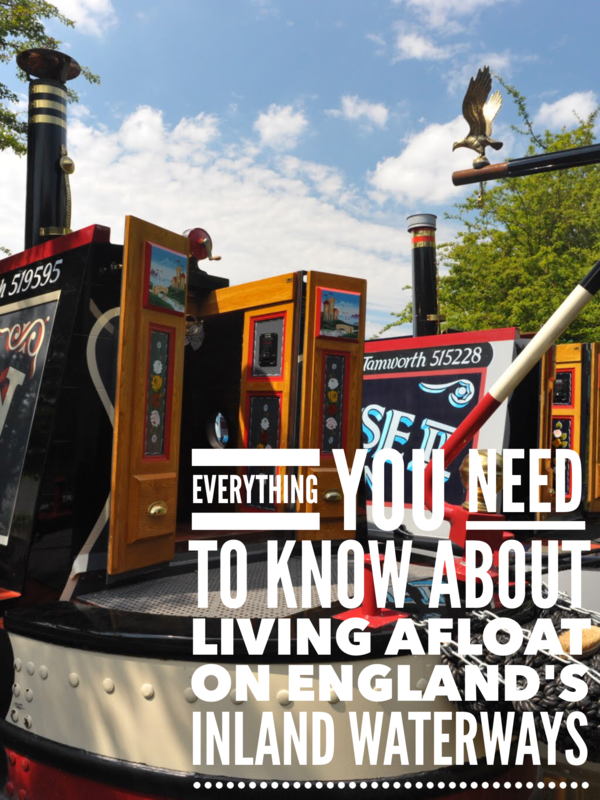 By the time this newsletter goes out, Brent will be back on the other side of the world with, hopefully, some very pleasant memories of boating in Warwickshire. “How many miles does it do to the gallon?” It’s a question which is often asked of cars, but rarely of narrowboats. The problem is, miles to the gallon is a difficult figure to work out on a narrowboat. The boat’s diesel tank is often used to supply the central heating system as well as the engine so it’s quite difficult to work out how much is used by the engine and how much is used by the heating system. There’s another issue too. The boat’s engine is often used for hours at a time to charge the battery bank when the boat is stationary. Some boaters use the engine more for battery charging than they do to move from A to B. And when the boat engine is used to move the boat, for a varying proportion of the cruising day, the boat can be sitting still is a series of locks so no distance is covered. Because of these variables, the figure which is usually quoted, if a figure is quoted at all, is the average number of litres an hour that the engine uses when it’s running regardless of whether the engine is being used to move the boat through the water or just to charge the batteries. I keep accurate records of my expenditure on diesel and the number of litres I put in each time I top up. I also make a note of the boat engine hours running total. I know that when I last topped the tank up just over a week ago the total hours for the year was 332. Unfortunately very little of that was used by me exploring the network. Sally and I had two weeks out in June and then another at the end of September. We went from the marina to Market Harborough and back in June and then pottered about without going far at all in September. The majority of the diesel I’ve used and the engine hours I’ve run up this year have been on discovery days. The engine’s generally running for six or seven hours on each day, and nearly all of that time the boat is cruising. Because I have all of this information to hand, I can say with confidence that my boat’s thirty seven year old 38hp Mercedes OM636 uses an average of 1.24 litres of diesel per hour and for most of this time the engine is running at between 1300rpm (passing moored boats) and 1800rpm (top cruising speed without creating breaking wash). As a completely pointless but, to me, interesting exercise, as I know the average hourly fuel consumption, I’m also able to calculate the fuel consumption in terms which would mean something to a car owner. Many boaters talk about an average speed of 4mph but they don’t take into consideration delays at locks, passing moored boats, negotiating congested spots, tight bends and bridge holes. I used the excellent CanalPlan route planner to work out the distance and the time taken for two routes; one from Calcutt marina to Llangollen and one from Calcutt marina to Bath. The average speed for both routes was roughly 1.8 miles per hour. I had guessed that my own average was just over two miles an hour but I’m sure the CanalPlan formula is more accurate. For the sake of this exercise, if I say the average distance travelled by a narrowboat in an hour is two miles, and I know that my boat uses 1.24 litres per hour, I can work out that a gallon of diesel will run my boat for 3.67 hours (1 gallon = 4.55 litres so 4.55/1.24 litres per hour = 3.67 hours). If a gallon of diesel will run my engine for 3.67 hours and the average distance my boat travels in an hour is two miles, my boat achieves 7.34 miles to the gallon. Just over seven miles to the gallon is two and a half times as thirsty as my old gas guzzling Nissan Pathfinder. In fact, my lovely floating home gets slightly less miles to the gallon than a Hummer. Mind you, the boat may well use more fuel per mile travelled than the American monstrosity, but I’m pretty sure it’s much more comfortable to live in. I received the following email earlier in the week from live aboard wide beam owner Trevor Martin concerning single handed locking, and as I spent all Saturday locking single handed (and getting paid for it. It’s not a bad way to earn a living! ), I though I would include the email in the newsletter and add a few comments of my own. Trevor mentions in his email that each lock took him forty five minutes. I questioned him on the figure and admitted that three quarters of an hour was the time taken to negotiate the first lock of the day when the flight had completely drained overnight. The flight actually took him just over nine hours in total to complete, which is still a fair day’s work. “I recently had the “opportunity” to navigate the Caen Hill flight on my own, 29 locks in under 4 miles with the actual flight made up of 16 locks tightly spaced to raise/lower over 200 feet. I was helped going down the flight by the “crew” of a Fat Boat following me but still took 45 minutes per lock on my own, (moor up, fill lock, open, cast off, manoeuvre into the lock, empty, manoeuvre out, moor up, close lock and cast off again). The best way I found when operating locks single handed is to slowly open one paddle while the boat is inside so that the boat moves forward toward the gates. Use a centre line on the roof to loop around a bollard toward the aft end, and control the boat movement from outside the lock by using the centre line. Only one paddle to be opened, otherwise the rush of water will make the boat move too quickly for some “crew” to handle in this way. Once the lock is emptied, the gates can be opened. I have found at this stage, the best way to proceed is to tie the boat in the lock, run (or walk) to the next lock to fill and fully open the gates. Now, once back on the boat, manoeuvre out of the lock and straight into the next. Tie up inside the lock, run (or walk) back to the previous lock to close it and start the process all over again. It’s much easier with travellers helping but when I had to navigate the flight on my own, it was last week and not many boats going through the locks. Leaving your boat in a lock while you walk to the next lock to prepare it is a great way to save yourself a lot of effort. Rather than set the lock, get back on to your boat, bring it out of the lock, move over to the towpath, secure the boat, set the next lock, walk back to your boat, untie it and push it away from the side, climb on board and navigate, often from an awkward angle, into the new lock, you can just head pretty much in a straight line from one lock into the next. There is a problem with this technique though. You can only do it when the canals are quiet. It’s not acceptable to leave your boat in a lock while you prepare the next one if there’s any traffic waiting to use the lock so you’ll find that this technique works best for you either early in the morning or late in the evening or out of season. What Trevor hasn’t mentioned in his email is how you are supposed to get on and off your boat in an empty lock. You can either use your centre line to pull your boat out of the lock before getting on board, or you can climb onto your boat in the lock. I made a mistake when I had my solar panels installed. I have three of them taking up much of the space between the centre and the rear of the boat. Much of the remaining space is covered by the pole and plank and the brackets they sit on on the starboard side. Single handed locking is now a bit tricky for me. If I enter an empty lock, sometimes I can slow the boat almost to a stop as I enter the lock, then step off on the lock landing with the centre line then run up the steps, flick the rope over the balance beam and then tie the boat off on a bollard and bring it to rest. If I can’t use this technique, I have to take the boat in to the lock and then climb out of the lock if I’m going up or climb down into the lock when I’m ready to exit if I’m going down. Regardless of the direction of my climb I have to carefully negotiate the clutter on the roof. It’s potentially dangerous, especially when the roof is either wet or icy. The mistake I made was not installing the solar panels on the front section of boat’s roof. It would have meant running a cable the full length of the boat back to the engine room, but at least I would have a clear section of roof to walk on in locks. In the meantime, I’ll just have to practice keeping my balance. I’ve finally pinned down the availability for next year’s discovery days and updated the calendar. I’ll be holding the days on the first two weekends of every even months plus the week days between those two weekends. For the sake of clarity, here are the dates. Of course, if you are one of the many future attendees who believe in forward planning who have already booked a date for next year, even if those dates fall outside of the new schedule, those dates will be honoured. I’ll hot foot it back from wherever I’ve been exploring on the network to meet you. If you want to book a date, or just want to check the current availability, here’s a link to the calendars for the single, exclusive single and couple discovery days. If you’re sitting on the fence, not really sure whether a discovery day will be of real use to you, I urge you to read this feedback from people who have already joined me for the day. Without exception, the comments I’ve received have been overwhelmingly positive. I’m trying not to sound as though I’m blowing my own trumpet, but I’m constantly told what a productive and enjoyable day it is.My apologies for the layout of the testimonials page. As usual, I can’t find the time to add all the bells and whistles. Roll on April when I’ll have so much more time on my hands! If you’re serious about living afloat, and want to combine a day discussing the pros and cons of various boats, the equipment in them and the lifestyle itself with plenty of hands on training along a challenging and beautiful route, then I sincerely hope you’ll pay me a visit.